Amazing Athletes PPT (Free!) 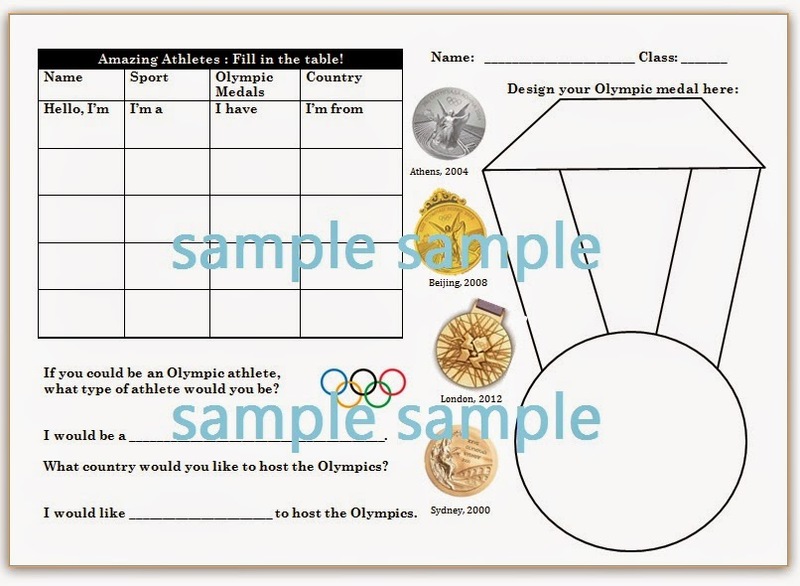 & Olympic Medal Worksheet! 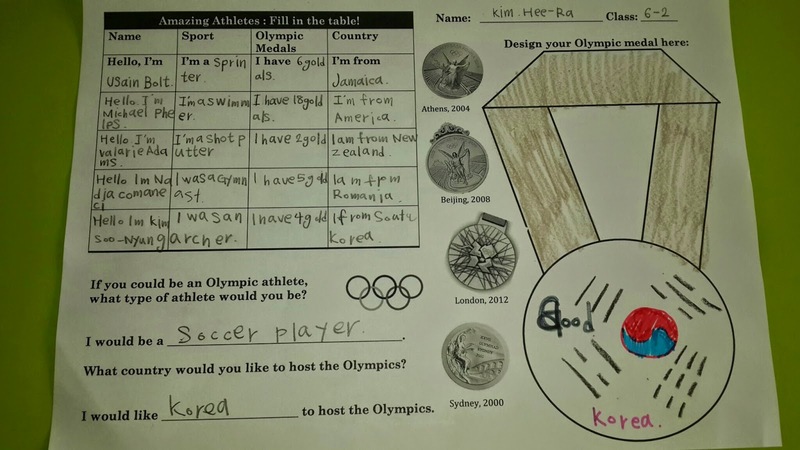 This is a simple lesson about some amazing athletes I chose to present to my grade 5 and 6. 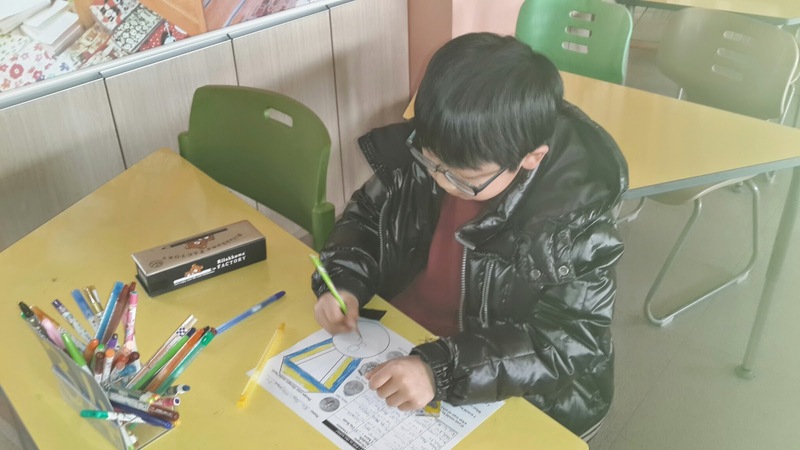 We are finishing our school year so rather than watch a movie I am making sure we do some simple, yet fun and interesting lessons about a range of different topics. See my post on easy PPT lessons here, for more ideas. I use a powerpoint and sometimes I'll give a handout to go with the presentation. For today, we focused on some amazing Olympic athletes - the Powerpoint is free to download and includes links to Youtube videos of the athletes doing their stuff at the games. (look for video button/image). 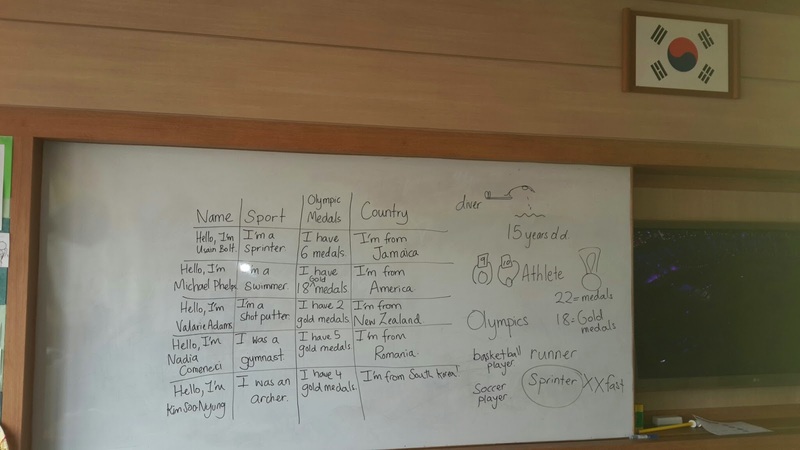 I designed this worksheet where the students can record what they learn in the presentation via a table, very easy sentences. 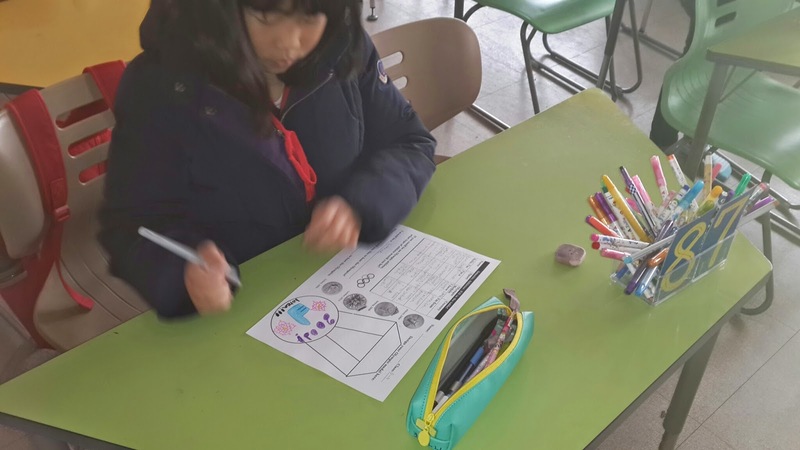 It keeps the lesson interactive. 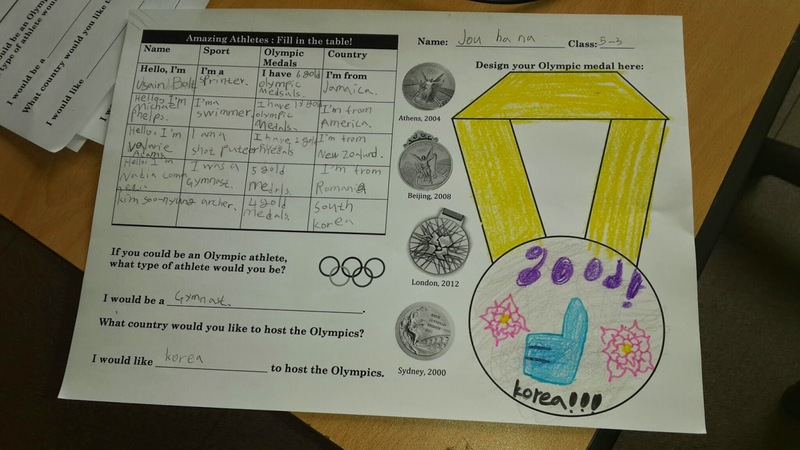 And then I have a design your own Olympic medal section which also includes a few small pictures of real Olympic medals and their designs over the years. 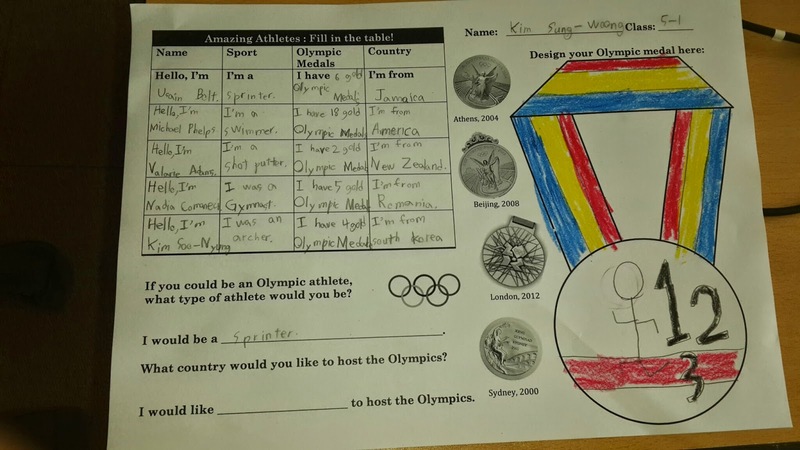 Download the Olympic Athlete Worksheet from my TeachersPayTeachers store. my white board as we went through the PPT and lesson. Here's a powerpoint preview: download link. FREE! Hope this comes in handy, you could also use it for the first week of classes as the textbook teaches about "Hi I'm _______" as well as "I'm from______" in the first units.